Zach Prendergast fanned a record 11 hitters as Peoria swept its first-round playoff matchup over Quad Cities. Memphis split its first two games at Oklahoma City. Results from the games played Thursday, September 6th. 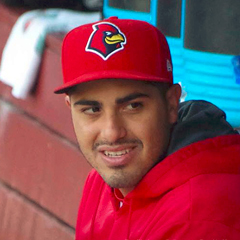 The Redbirds began their quest for a second straight Pacific Coast League Championship by splitting a twin bill at Oklahoma City, grabbing the opener, 4-2, but dropping the finale, 5-4. The best-of-five series shifts to Memphis (1-1), where the balance of the contests will be played. Kevin Herget and Giovanny Gallegos combined on a two hitter in Game 1 with each pitcher yielding a tally. Herget fanned six through the initial five innings, the sole score charged to him coming on a two-out walk, stolen base and RBI single in his final inning of work. Herget issued three free passes in all to go with his one hit allowed. That run put the home team up 1-0, but the Redbirds responded with two the very next frame. Randy Arozarena singled home Andrew Knizner (walk) and Max Schrock (double) after the latter two reached with two gone. But Giovanny Gallegos (BS, 1) (W, 1-0) surrendered a home run in the home half of the sixth to knot the game at 2-2. Four of the six outs recorded by the right-hander were strikeouts, including all three outs that sealed the win. The offense got right back to work when Wilfredo Tovar and Rangel Ravelo hit back-to-back singles, putting runners at the corners for Alex Mejia. Mejia reached on a fielder’s choice that scored Tovar with Ravelo going to third on a throwing error by the Dodgers’ second baseman. Lane Thomas’ 5-4 force out brought Ravelo across home for the winning margin. The visitors generated eight hits in total, with two each by Tommy Edman and Arozarena. Edman singled twice in four at bats at the top of the order while Arozarena reached base all three times he came to the plate. The left fielder, and number eight batter, went 2-for-2 with a walk, two driven in and a stolen base. Memphis’ offense used eight more hits to put four more tallies on the board in Game 2 but it was not enough to overcome their pitching staff’s home-run prone performance. 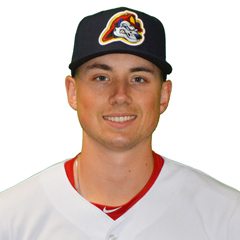 All three runs charged to Tyler Lyons (L, 0-1) in four innings resulted from two long balls, two of the four hits and one base-on-balls the southpaw permitted. Edward Mujica served up another two-run bomb while recording just two outs, putting his team in a 5-2 hole. Tommy Layne limited further damage by retiring his only batter faced and stranding an inherited runner. Conner Greene tossed a one-two-three sixth. Mejia produced the most results in the nightcap as his two-hit effort resulted in three runs. The right fielder singled and doubled in three at bats, touching home once and knocking in three. Thomas was the only other Redbird with a multi-hit effort, going 2-for-4 with a run scored and RBI. Arozarena did not play. ICYMI: @MichaelWacha is scheduled to start tonight on an injury rehab assignment! Game 3 of the PCL semifinals starts at 7:05! 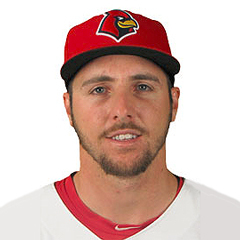 Zach Prendergast (W, 1-0) fanned a record 11 as the Chiefs rode a four-run sixth to a 7-2 victory at Quad Cities (HOU), sweeping the River Bandits from the best-of-three quarterfinals. The victory was only the second win at Modern Woodman Park in seven tries during the second half for Peoria and just the fourth in 14 regular season games there. As winners of the First Half showdown, Peoria has chosen to host the final two games of the best-of-three Western Division Championship series, which begins on Saturday, September 8th, at either Cedar Rapids (MIN) or Beloit (OAK). Prendergast’s 11 strikeouts tied a postseason single-game franchise record set first by Britt Reames in 1996 and matched by Justin Pope in 2002. The Seton Hall product allowed three hits and a free pass over five innings. Both tallies charged to him were unearned due to two third-inning miscues by first baseman Yariel Gonzalez. Prendergast required 96 pitches to navigate those fine frames, throwing 65 strikes. Peoria was down 2-1 at the end of the righty’s stint but erupted for six runs over the next two frames. Catcher Dennis Ortega led his squad’s 11-hit attack, going 3-for-4 with a walk and run scored while batting fifth. Number four hitter Gonzalez and Andres Luna, the number nine batter, had two hits apiece and crossed home twice each, with Luna knocking in one. Luken Baker singled once in three at bats, drew two free passes, scored once and drove in one whole Nolan Gorman went 1-for-5 with a run scored, two RBI and a stolen base. The Chiefs’ bullpen was solid over the game’s final four innings, which were split between C.J. Saylor and Fabian Blanco. Saylor struck out three in 2 1/3, yielding two hits, and Blanco retired all five batters faced, fanning three.